Rite in the Rain’s new Storm Sight™ All-Weather Shooting Targets keep your shooting sharp in any weather. 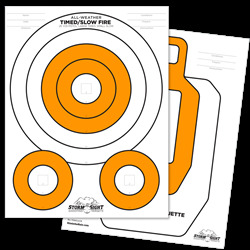 These All-Weather Targets can take a bullet in a monsoon and still permit accurate shot evaluation. Weatherproof Rite in the Rain paper survives rain and snow for year-round target practice. 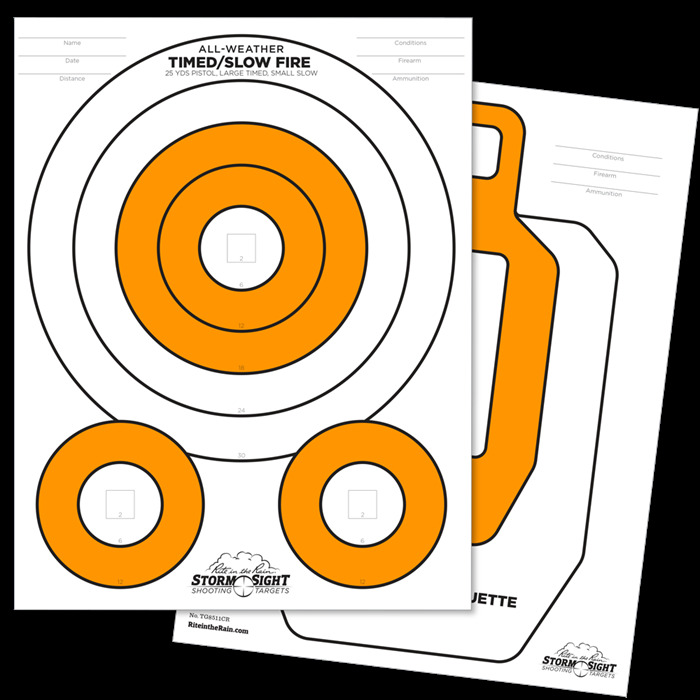 Double-sided print offers you a choice of common marksmanship exercises. High-contrast reticle identifies shot placement at greater distance. Unique designs borrow from military/competitive design logic to score and improve your shooting. Common dimensions fit your record-keeping binders. 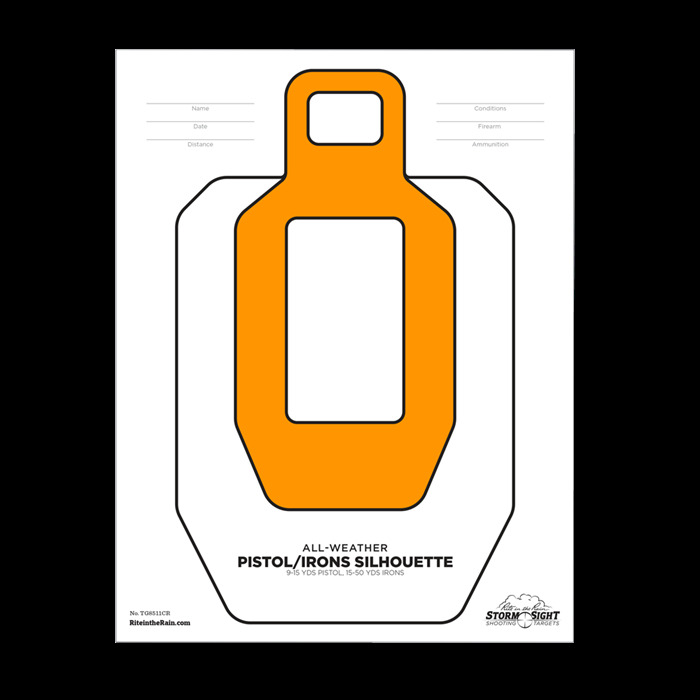 SIDE A depicts a scoring silhouette with familiar dimensions for USPSA, IPSC, and IDPA practitioners. 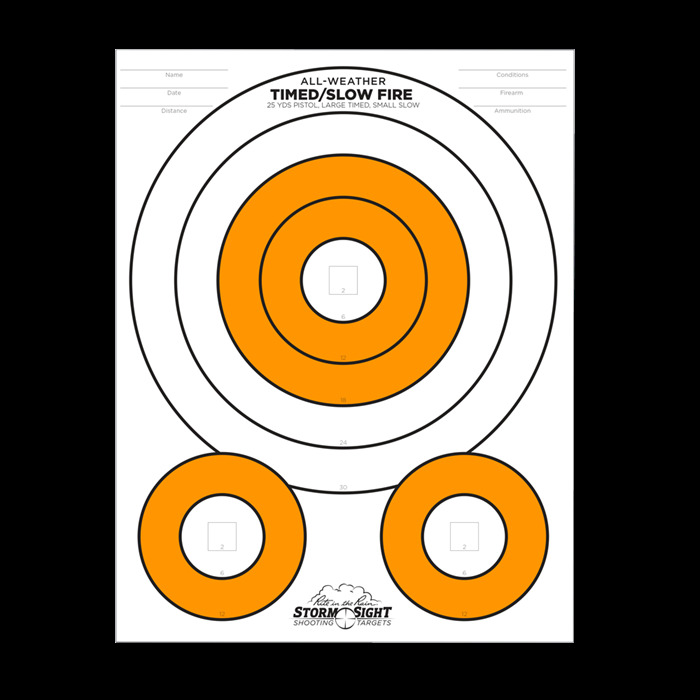 SIDE B features three target areas: an enlarged bullseye for timed fire or draw exercises, and two narrower bullseyes for slow fire exercises.